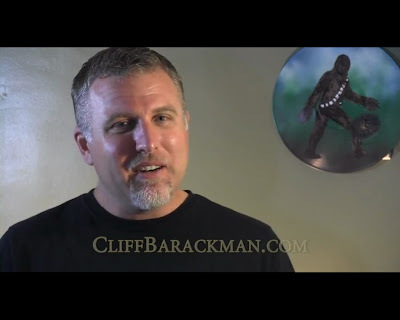 In celebration of Cliff Barackman's Birthday, we are showcasing the behind-the-scenes videos he created with Craig Flipy for most of Season One of Finding Bigfoot. Watch each video after the episode summary. The team, in their first episode, are in northern Georgia investigating cases with Bigfoot. One thing they investigate is what a police officer believes to be a Bigfoot running across a road. Also, Cliff and Ranae find two possible footprints, and the Georgia chapter of the BFRO is called on to help a search. The team visits Northern Florida investigating some mysterious cases with the Florida subspecies of Bigfoot, the Swamp Ape or Skunk Ape. They investigate a case about a couple that believes there is a Bigfoot living on their property and is bothering them. Also, the team talks with the Seminole people, asking about some experiences some members of the tribe have had with Bigfoot, and Matt and Bobo see a strange figure in the distance on a search. The team travels to North Carolina, specifically the Uwharrie National Forest to investigate supposed Bigfoot sightings. Also, Matt's leadership skills are called into question, and the largest search for Bigfoot ever is organized. The team travels to Oregon the investigate multiple cases with sightings of Bigfoot. A group of rafters accidentally capture a video supposedly having a Bigfoot in it. Also, the team makes its first visit to Bigfoot and Beer, and then use a rabbit to try and lure out a sasquatch. The team heads to southern Washington to investigate cases involving Bigfoot encounters. One man caught a picture with an animal that may be a Bigfoot that is on a snowcapped mountain. Also, Matt and Bobo claim to hear what sounded like human voices during a night investigation, and Cliff and Ranae ride in a small raft to see if they can see a Bigfoot. The team heads to southeast Alaska because the mayor of the town of Hydaburg asks them to investigate compelling footprint photos . Also, Ranae and Bobo find a possible footprint, and talk with a woman who claims to have had a log thrown thrown at her taxi and spotted a Sasquatch in a tree the next day. The team returns to a gathering in Oregon at Ike's Pizza, called "Bigfoot and Beer" to talk personally to fans. The team talks about their excursions to find Bigfoot and reflect on them, answer questions from their fans, and play footage that was not aired on previous episodes. If you enjoyed these Finding Bigfoot Season 1 debriefs check out, "Happy Birthday to Finding Bigfoot's Cliff Barackman Pt.2" for Finding Bigfoot Season 2 debriefs! In celebration of Cliff Barackman's Birthday, we are showcasing the behind-the-scenes videos he created with Craig Flipy for most of Season Two of Finding Bigfoot. Watch each video after the episode summary. If you landed directly on this page, make sure you watch season one first at "Happy Birthday to Finding Bigfoot's Cliff Barackman Pt.1"
The team travels to New York state to investigate the New York Baby Footage. Ranae also spends some time alone near the site of the film, and dozens of witnesses come forward. The team travels to Rhode Island to examine video of a roadside sighting of a bigfoot. The team travels to Canadian Rockies to investigate a unique bigfoot encounter caught on tape. The team travels to Minnesota to investigate howls recorded at a bigfoot hot spot and a sighting of what may be the tallest Bigfoot ever seen (11 feet tall). The team heads to Ohio to investigate an encounter with a bigfoot that is caught on tape. Along with a team of volunteers, they search the surrounding forests for evidence of a bigfoot. The team travels to Virginia to investigate video of what the locals are calling "the Beast of Gumhill." 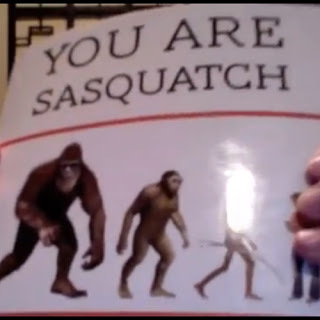 WATCH: First Peak at at Facebook Find Bigfoot's First Book, "You are Sasquatch"
Facebook Find Bigfoot (FB/FB) describes themselves through the biography on their Facebook page, "Our team and dedicated fans of this site find and authenticate real Bigfoot videos by researchers, accidentally and by people in the right place (forests) and the right time. We are not trying to prove that Bigfoot exists. It does in large numbers. 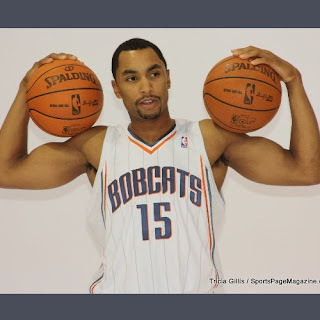 We are interested in how they act and their morphology." It should be noted that there are those in the Bigfoot community that are not impressed with Find Bigfoot's video analysis, some even reference Find Bigfoot as Find Blobsquatch, most notably because of their recent endorsement of a recent video produced by the same man that produced the Georgian frozen bigfoot hoax in 2008. After several years of building an audience on it facebook page, 30,000+ plus fans as of this post, FB/FB has decided to publisha book on the video analysis they have done. You can read the first chapter for free. The first chapter, almost in the first paragraph, they claim that the TV show, Finding Bigfoot, is named after them and based on the site's authenticated video content. This is simply not true, and contributes to the thinking that FB/FB is more about propaganda than discovery. You can watch the sneak peak preview of the book in the video below. Watching Finding Bigfoot co-host Cliff Barackman on G4's Attack of the Show is like having Thanksgiving all over again. At least in the sense that you are reminded what you are thankful for. There are nly handful of people who make great ambassadors, represent serious Bigfoot research. We are thankful for that. The Attack of the Show host, Matt Mira starts with the typical ribbing of the title "Finding Bigfoot," since they have not found Bigfoot. Then he pivots and asks sincere questions about breeding populations, habitat, and then drops the bomb, "What do you think about the Bigfoot DNA study that came out last weekend?" That's right they ask Cliff on live TV what he thinks of Melba Ketchum's Bigfoot DNA study. Watch the video below to hear Cliff Barackman weigh in on the topic. Mr. Henderson has deep thoughts about the legend of Bigfoot. And showcases the often misunderstood concept that there is breeding population of Bigfoot(s) as oppose to just one lone Bigfoot wandering around North America. watching "finding Bigfoot" on animal planet. at this point wouldn't Bigfoot be dead or old as hell? how do they know a bigfoot's lifespan? 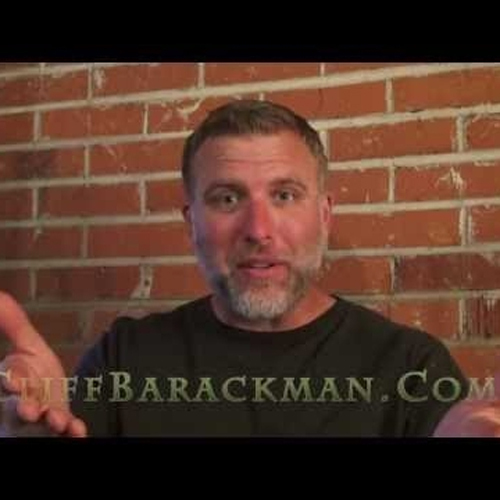 Cliff barackman continues his excellent re-caps of the Finding Bigfoot Episode. In his current Finding Bigfoot Cliff Notes, Cliff Barackman covers his meeting of Roger Roberts who had investigated Bigfoot sightings next to a nearby Indian reservation. Below is a short excerpt from his notes on the possible Bigfoot hair sample. Of most interest to us was the hair sample. The hair sample had been found by a tribal game officer on an animal trail leading from a location where a bigfoot had been recently seen. It was found on some broken branches more than eight feet above the ground, which would seem to rule out that it was buffalo (which are kept nearby), bear, deer, or human hair. Roger had in his possession enough hairs to spare some for us to have tested for DNA material. In hair, all of the viable DNA is found in the medulla, or hollow center shaft of the hair. This is a bit problematic because bigfoot hair tends to have fragmentary medullas, if any is present at all. However, a DNA lab in Oklahoma City called DNA Solutions offered to test the sample to see if any material could be extracted for testing. If nothing else, they could examine the hair and tell us what animals the could eliminate as a possible source for the hairs. Also of value is that they could get the results back to us in about a week. 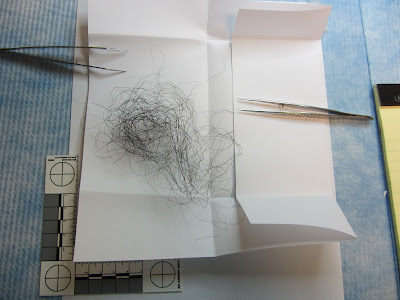 Dr. Brandt Cassidy of DNA Solutions was unable to extract any DNA material from the hairs. He said that the samples were just too old and had not been stored in the the optimal way to prevent the gradual breaking down of the DNA material. However, he was clear about a few things. While superficially similar to a person’s hair, the hair did not appear to be human in origin. First off the hair shafts had tapered ends which would indicate that the hairs had never been subjected to a hair cut. Another difference that was found was that the medulla width was different than what is commonly found among humans. 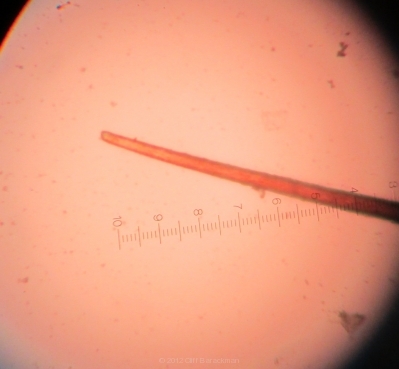 I was supplied with photographs of his microscopic analysis, and I was interested in the fact that the hairs showed to have a reddish tinge when lit from behind, even though the hair appeared to be black when viewed against other backgrounds. This reddish tinge is another distinct characteristic of bigfoot hair. Whitley Strieber is most famous for his book, "Communion," a #1 New York Times best seller about aliens (Greys) visiting him. This was eventually made in to a movie starring Christopher Walken. He also hosts a radio show called Dreamland and his wife, Anne Strieber, runs his website Unknown Country. 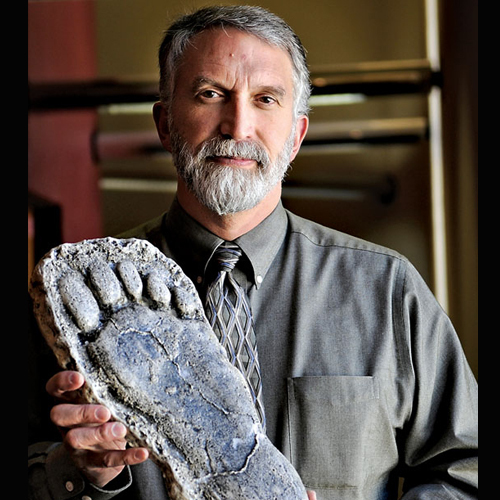 Due to the Dr. Melba Ketchum Bigfoot DNA press release, Mr. Strieber has offered his own perspective of Sasquatch. 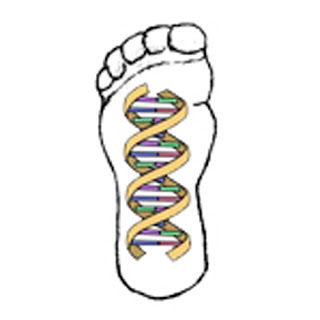 If you have followed this blog within the last few days, you may be at risk of Bigfoot DNA fatique. Don't worry we wouldn't do that to you. While Mr. Strieber takes the opportunity to use Melba Ketchum's presser as a jumping point, his article is more about what makes Sasquatch different from man, and in our opinion, it is at least a great philosophical point. He begins this point and then expands on his long-time interest of Sasquatch. We are as different as we can be. In fact, polar opposites. Sasquatch is here to be; Man is here to do. These are two opposite poles of consciousness, and if we can find balance, we can, each of us, find ourselves in a completely new way. This possibility has never existed before, not in all the long years that the two species have spent living on Earth together. Mr. Strieber wanders in and out of Melba Ketchum's press release, but it is his effort to define the distinction between man and Squatch that we find most fascinating, and so he carries on. They are not like us and were not meant to be like us. We are naked and must make our own shelter or die. Nature has clothed them in hair and given them, in their powerful senses, all that they need to thrive. We must make our technology. They are born with theirs. In fact, they have remained even more primitive than we were fifteen thousand years ago. They are a pre-stone age species, still, in effect, living entirely off the physical assets that nature granted them. We have not been like that for a very long time. Fifteen thousand years ago, we were already working stone and using animal skins to cover ourselves. Gobekli Tepi dates from a time when Sasquatch was a new species, so we were already builders then. Thirty thousand years ago, we were creating art at a high skill level in the caves of France and Spain. Fifty thousand years ago, we were using fire and stone tools, and creating edges in flint. We have only highlighted the parts of Mr. Strieber's notes on what defines the distinction of Sasquatch and Man, he continues on to incorporate other aspects, like the left-hand path and other Esoteric traditions. 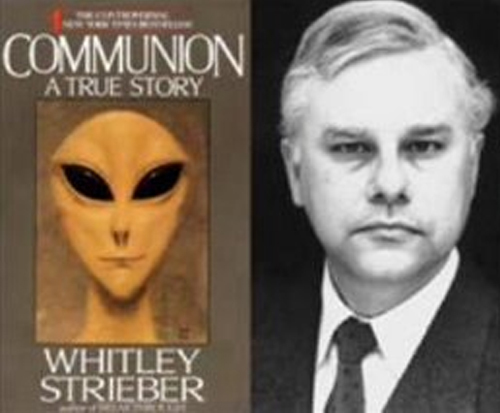 You can read the original source in it's entirety at Whitley's Notes on Unknown Country. Finally, a Bigfoot in a Box.